Twelve passengers have been assessed by paramedics at Shannon Airport, after a transatlantic flight was forced to diverted to the midwest facility this morning. 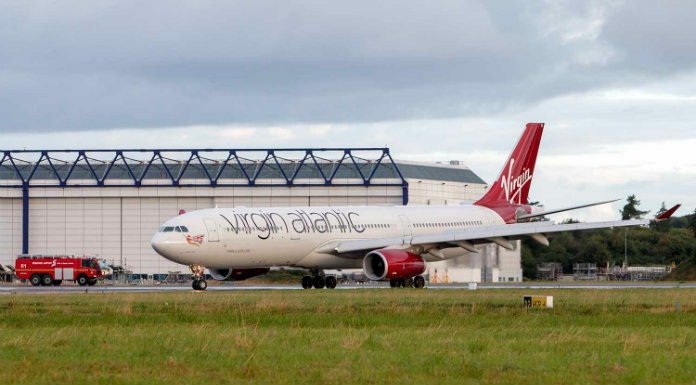 Virgin Atlantic flight VS-50A was travelling from Orlando, Florida to Gatwick, when the crew discovered smoke on board and declared a MayDay. Shannon Authorities activated an emergency plan involving Gardaí, the fire service and the HSE, and the plane, which had over 200 passengers on board, landed safely just before half past seven. The airline has confirmed that 12 passengers came forward to be assessed by paramedics, and declined hospital treatment. A fleet of ambulances and response cars left the airport at midday after being officially stood down.